How do I get my documents ready for a certified translation or to ask for a quote? The least preferable option, unless a quick start on the translation is needed. 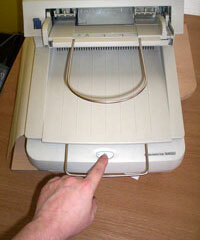 Faxes have poor image quality, so photocopies are still required, which can be sent with the payment. Good quality black and white or colour photocopies are fine. If the certificate is quite small in size or the text has a small typeface or is hand-written, an enlarged copy increases clarity, even if it spans more than one sheet of A4 paper. Save your copy in TIFF, JPEG or PDF format - graphics pasted into Word files can sometimes come out fuzzy, so they are not advised. Unless you are on broadband, do a greyscale scan, as colour scans increase the file size tremendously. 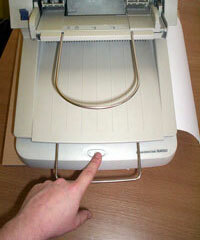 A resolution of 200 dpi (fine fax quality) to 350dpi will suffice. Increase the zoom or resolution if any stamps do not show up or the text is very small, of poor quality or hand-written. To reduce file size, e.g. for emailing, it is advisable to zip up your files into one single compressed file. 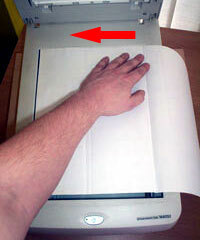 If your document is larger than A4 and won't fit in your scanner or photocopier, copy one end of the sheet of paper and then slide it further up or along, keeping the edge in line with the edge of the copier. This ensures that the copies made will all keep the same orientation, which is important for when we join them together again and print them out for you. Turning the paper around 180� so that the other end of the paper gets copied is more convenient, but should be avoided, as aligning the sections of the copy again may not work as precisely as a result. 5. Scan the other end of the paper. You should now have a copy of each end of the document. 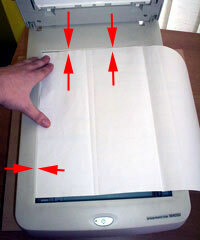 Should the middle area of the document be cut out, make as many scans as necessary between each end, so long as the paper stays positioned against the top edge of the scanner. 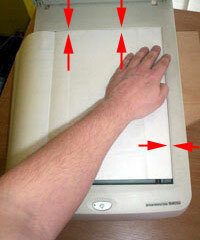 Be aware that some parts of the original may not show up in the copy, especially when sending by fax. For a correct translation, all signatures and official stamps also have to be included in the final version. If any names are difficult to read, for instance if they have been hand-written, show them in block capitals on another piece of paper so that any errors can be avoided. Where handwriting in the original document is unreadable, this would be indicated as 'illegible' in the translation. For languages that use non-Roman alphabets (e.g. Russian, Arabic, Hebrew and Asian languages), provide the transliteration of all family and place names etc. Writing these names out in the English alphabet helps ensure the translators use the correct English spelling. Contact details are at the bottom of this page or use the feedback form. I found this company to have excellent customer service. Fast, efficient turnaround of my document for translation. I would definitely recommend them to others in need of their services.